The Canada Pension Plan Investment Board has entered into a definitive agreement to buy U.S.-based Parkway Inc., (PKY-N) for US$1.2 billion, the board announced Friday morning. CPPIB will take a 100 per cent interest in Parkway, a Houston-based real estate investment trust, for the equivalent of US$23.05 per share. The transaction is not subject to a financing condition and is expected to close in the fourth quarter of 2017, subject to customary closing conditions, including approval by Parkway’s stockholders. The US$23.05 per share consideration consists of $19.05 per share plus a $4 special dividend to be paid prior to closing. It represents a premium of approximately 14.3 per cent compared to Parkway’s 30-day volume weighted average price ended June 29. Parkway’s board of directors unanimously approved the agreement. 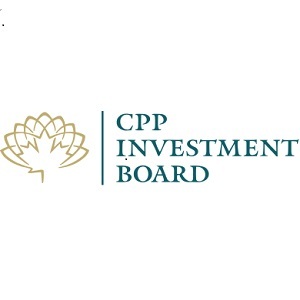 CPPIB says TPG Capital and its affiliates, which own approximately 9.8 per cent of Parkway’s outstanding common stock, have agreed to vote in favour of the transaction. Parkway will pay its previously announced second-quarter dividend today, but will suspend all future quarterly dividend payments through the expected close of the transaction. Parkway is an independent, publicly traded, self-managed REIT which owns the largest office portfolio in Houston: 19 buildings totalling approximately 8.7 million square feet. Its high-quality office properties, located in what the CPPIB calls “desirable areas” of Westchase, Greenway and Galleri, are 87.6% leased as of March 31. They are anchored by a broad mix of strong tenants in financial services, technology and commodities businesses. * The San Felipe Plaza, also located in the Galleria area. This 46-storey office tower is located near I10, the West Loop and US Highway 59 and offers unobstructed, floor-to-ceiling windowed views of the city’s Central Business District and the Westchase District. “CPPIB shares our view of the long-term resiliency of the Houston market, and we believe this transaction demonstrates our commitment to enhancing stockholder value,” James R. Heistand, Parkway’s president and CEO, said in the release. Headquartered in Toronto, with offices in Hong Kong, London, Luxembourg, Mumbai, New York City, São Paulo and Sydney, CPPIB is governed and managed independently of the Canada Pension Plan and at arm’s length from governments. The CPP Fund is valued at approximately Cdn$316.7 billion.